Sukhoi Civil Aircraft Company (SCAC) delivered six Sukhoi Superjet 100 regional aircraft in the first half of 2017, reads the company’s Q2 statement. The figure is 33.3% lower than during the same period last year. The manufacturer explains the decline by the schedule of 2017 deliveries, which calls for the main portion of new airliners to be handed over to customers in the second half of the year. The slowdown in deliveries led to SCAC seeing its revenue drop 25.4%, to 10.111 billion rubles ($171 million). The company also registered a net loss of 751.5 million rubles for the first six months of the year, Kommersant daily reports, against a net income during the same period in 2016. SCAC puts the losses down to the unfavorable ruble exchange rate and massive expenses on interest payments. The report does not disclose the recipients of the six aircraft delivered in the first half of the year. 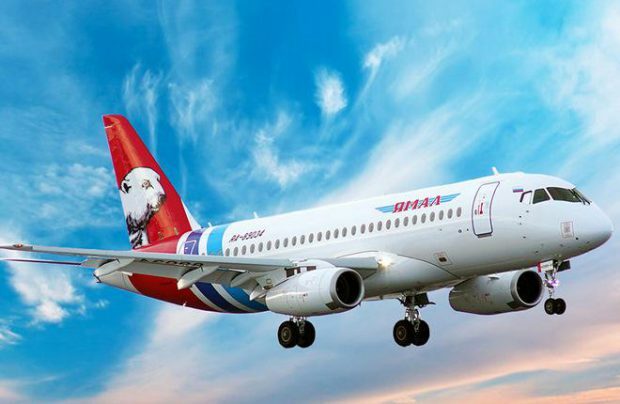 Open sources suggest that at least 13 Superjets were put into revenue service over the period: four by IrAero (RA-89075, RA-89076, RA-89077, and RA-89078), six by Yamal Airlines (RA-89068, RA-89069, RA-89070, RA-89071, RA-89072, and RA-89073), and three aircraft by Irish-based CityJet (EI-FWF, EI-FWE, and EI-FWD). The SCAC report says the company is planning to sell a total of 34 SSJ 100 aircraft in 2017. The plans for 2018 and 2019 call for delivering 38 and 37 airframes, respectively. In 2016, according to the manufacturer’s updated report, it delivered 26 SSJ100s (as compared to the original report, which mentioned 28). SCAC is believed to have delivered a total of 115 Superjets to July 31, 2017.